You've added Sainte-Chapelle, Eiffel Tower, Luxembourg Palace, and other attractions to your itinerary. Museum-lovers will get to explore Musee d'Orsay and Musee Rodin. Your cultural itinerary includes sights like Champs-Elysees and Arc de Triomphe. 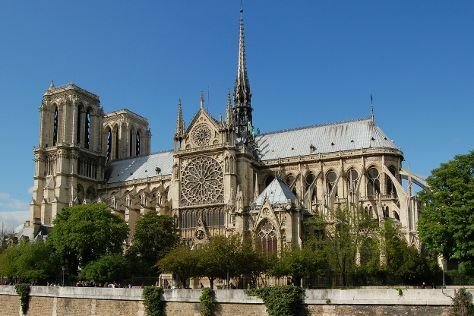 There's much more to do: admire the landmark architecture of Cathédrale Notre-Dame de Paris, explore the world behind art at Louvre Museum, head off the coast to Ile Saint-Louis, and contemplate the long history of Basilique du Sacre-Coeur de Montmartre. For traveler tips, photos, maps, and tourist information, you can read our Paris route tool . If you are flying in from Philippines, the closest major airports are Paris-Orly Airport, Charles de Gaulle International Airport and Paris Beauvais Tillé Airport. Expect a daytime high around 9°C in February, and nighttime lows around 1°C. Finish up your sightseeing early on the 13th (Wed) so you can travel back home.